In the wake of yesterday’s coverage of the Let Tim Anderson Play Incident, it seems prudent to follow up with a secondary discussion about pitchers hitting batters. Not whether they should (hot take: they shouldn’t), but, for those whose minds are already made up, when to do so. On Wednesday, Brad Keller whiffed. So let’s say a guy, maybe a guy who pitches for the Royals, is miffed that an opponent took some liberties in celebrating a home run against him. Maybe some other guys were chirping about it in his dugout, so this Royals pitcher decides to stand up for The Right Way to Play, and drills his opponent in response. Let slide for a moment your feelings about the decision. In this scenario it is fait accompli, a resolute act. At this point, once said pitcher cannot be diverted from his course, it would behoove him to drill the offender at a juncture of minimal impact to the game. Ideally, it would happen with two outs and the bases empty, with his team comfortably ahead. Or perhaps first base would be open in a situation in which the hitter might have been intentionally walked anyway. There are various metrics to determine the right time, and reasonable discussions to be had about sufficient size for a lead, etc. If enough of those metrics aren’t met, it should be incumbent upon said pitcher to wait—for an inning, a game, a series or a season—until favorable conditions present themselves. Brad Keller does not seem much for waiting. In Anderson’s very next at-bat, Keller plunked him in the backside, first pitch. While nobody among the ranks of those who approve of such things should take issue with the placement, the pitch’s timing was a downright disaster. Ultimately it didn’t matter. Kennedy retired the next three hitters in order and Kansas City won the game, 4-3, in 10 innings. But this is all about percentages. Had Anderson (or his replacement, after he was ejected along with Keller) come around to score, costing the Royals a victory, the Twitterverse would have lost its mind. That’s because Keller drilling Anderson when he did was even stupider than Keller drilling Anderson in the first place. 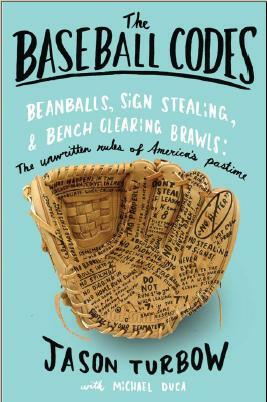 Baseball’s unwritten rules have softened over time, and I’m on the record as saying that, when it comes to retaliatory HBPs, that’s a good thing. But as the mandate to drill opponents recedes, the understanding of when to do so recedes right along with it. Which leaves guys like Keller, determined to get their pound of flesh, with a clearly insufficient understanding about how to do so. This is some weird middle ground we’re in. We’ll probably have to wait until a similarly impatient pitcher actually costs his team a game before people begin to acknowledge this in a widespread fashion. Last year this would have been a story about Tim Anderson and his celebratory histrionics. Hell, last year this was a story about Tim Anderson and his celebratory histrionics. Twice. This year, however, celebratory histrionics come with a perspective. That is, Major League Baseball has putatively endorsed them via its “Let the Kids Play” campaign, which makes things confusing when pitchers respond to said histrionics with disdain. Pitchers like Kansas City’s Brad Keller, say. Now, when Anderson does what Anderson is known to do—in this case, vigorously hurl his bat toward his own dugout after launching the 50th homer of his career—we’re conflicted in the aftermath. Letting the kids play seems like a swell idea to fans, to executives and to an unknown portion of ballplayers, but there appears to be a significant percentage of pitchers who disagree. We had this conversation less than two weeks ago, when Pittsburgh’s Chris Archer—a known showboat himself—expressed displeasure with Derek Dietrich’s decision to pimp his homer by throwing a ball behind Dietrich in an ensuing at-bat. It was an old-school response that would have drawn little attention a generation ago … or maybe even last season. But when the league itself encourages Anderson’s kind of behavior, the entire circumstance gets cloudy. That’s because the issue of respect is hardly one of clear delineation. Are some bat flips okay, but others not? Anderson’s was less insouciant toss and more angry spike. Did that somehow cross an ever-shifting line? Had he not turned toward his dugout—or, more pertinently, turned his back toward the Royals dugout—would it have been better received? Ultimately, it doesn’t matter. There’s bound to be a transition period between one epoch and another, and right now we’re stuck in a place where some players feel disrespected by some actions that many people—including baseball officials, apparently—would like to see more of. So when Brad Keller feels disrespected (or is sticking up for teammates who feel disrespected), there’s bound to be a reaction regardless of corporate messaging. Yesterday it was a fastball to Anderson’s backside in his ensuing at-bat. Things did not end well. Anderson started yelling, but, restrained by catcher Martin Maldonado, never approached the mound. Still, dugouts and bullpens emptied, and tempers flared when White Sox manager Rick Renteria shouted for the Royals to clear the field, inflaming Kansas City bullpen coach Vance Wilson. Anderson, Renteria, Keller and Royals bench coach Dale Sveum were ejected. In the aftermath, we’re left wondering two things: How many players still care about this kind of stuff, and how long will that last? Dozier is spelling out the party line from a previous generation, offering instructions that, while once status-quo, are now … well, who really knows? Dozier is 27. Keller is 23. Despite their old-school sensibilities, they seem an awful lot like the kids who the commissioner wants to let play. This shift is clearly not going as smoothly as baseball’s PR machine would have liked. We’re stuck in a place where, when bat flipping becomes the new normal, showboats like Anderson have to up the ante simply to draw attention to themselves. Bigger antics. More vicious tosses. Sentiments like the one Renteria espoused after the game—“You want [Anderson] to not do that? Get him out”—might make sense to the vast majority of the population, but the key here is that upping the ante rarely sits well with pitchers, some of whom are bound to respond. Ten days ago it was Chris Archer. Yesterday, it was Brad Keller. So long as hitters continue to push the celebratory envelope, there will always be a pitcher willing to respond. Our only problem is that we continue to be surprised by it. Update 1 (4-19): If you’re gonna drill a guy, at least know when to do it. Update 2 (4-20): There was some incredulity in the immediate aftermath that Anderson was tossed from the game, given his primary role as victim. We later found out that it was due to language so severe that he was eventually suspended for a game. Ladies and gentlemen, Gary Sanchez. … in concert with Willians Astudillo’s glorious effort earlier in the week. It’d be mistaken, because, during wintertime anyway, it’s always bat-flip season in the winter leagues. WALK OFF FOR THE @PHILLIES!!!! MAIKEL FRANCO'S WALK OFF HOME RUN IS EVEN BETTER WITH TITANIC MUSIC!!! That Mark Canha flipped his bat after homering against the Giants in San Francisco on Saturday night was hardly noteworthy. It was a small affair, more toss than flip. The Giants did not appear to notice, at least so much as they let on. It was Canha’s response to the flip, much more than the flip itself, that truly reflected the modern game. That wasn’t the good part. The good part is what came next. We’ve seen comments like these before, usually from Latin America-born players, who have tried for years to explain how celebratory displays are part of the baseball they grew up with, and how they make the game better. For a certain subset of critics, however, those guys are too other for traditional tastes—foreign voices that have no business telling Americans how their sport should be played. The point isn’t that Mark Canha is trying to move the needle. It’s that he’s being honest about the fact that the needle has already moved. This is Major League Baseball, 2018, and Canha is simply a product of it. Also intriguing is Canha’s claim that he’s been thrown at this season in response to bat flipping. There are no direct ties—series in which he homered and was subsequently drilled. The best bet is a flip against Seattle, on May 2, of which you can catch a fleeting glimpse here.) Canha skated through the next day’s game unscathed, but was drilled by Mariners starter Mike Leake the next time the teams met, on May 22. Then again, Canha said only that he was thrown at, not hit, in which case all box-score divination is moot. I’ll be sure to ask him about it next time I’m in the A’s clubhouse.